One of the strengths of Physitrack is the unparalleled breadth and quality of our content. With more than 3500 exercise videos in HD, and hundreds of educational articles, Physitrack prides itself on client education. 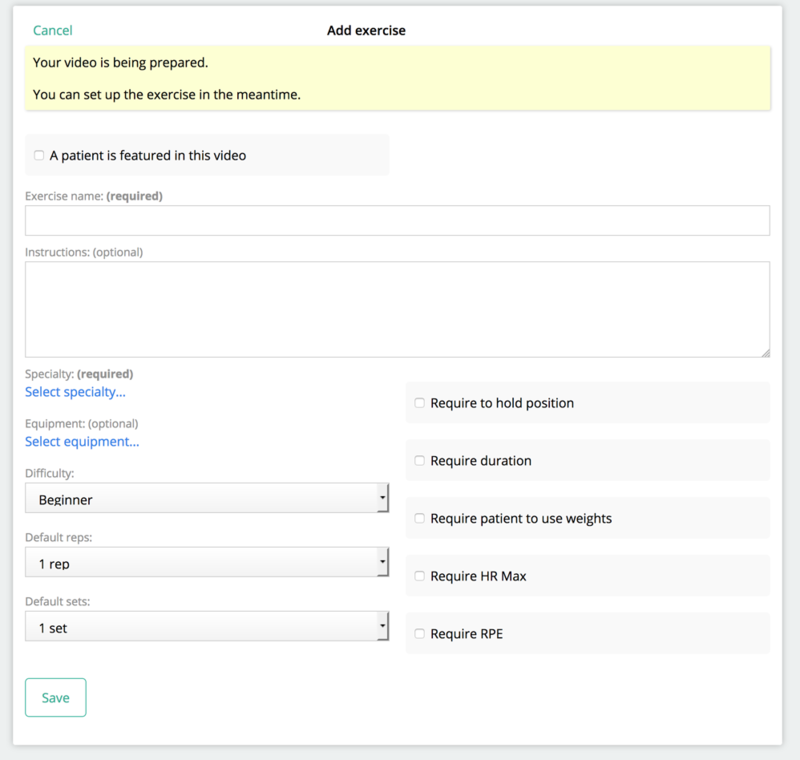 However, you may still want to add your own exercise videos, film clients performing exercises or add handouts and general educational content. Note that you can only add exercise videos. If you'd like to add a series of photos, please place all the photos in a PDF document, and upload this PDF document as educational content. Find the video on your computer. The maximum file size is 250 MB. Your video is then transcoded for web and mobile delivery. While this is happening, you can set all the parameters for the exercise, so that you can quickly find it back later. Click "Save" to save the exercise video to your library. To edit or remove an exercise, go to Library > Exercises and click on the exercise that you want to delete or edit. Enter a title and choose the type of educational content that you want to add. You can add either a PDF document, or a video. Click "Save" to add the educational content to your library. 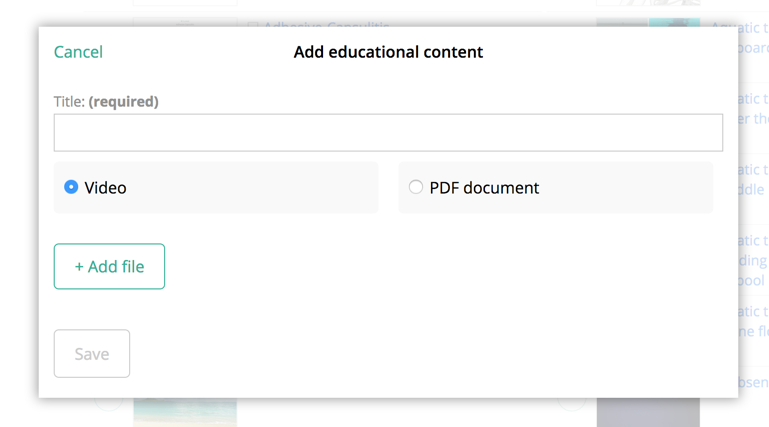 To edit or remove content, go to Library > Education and click on the content that you want to edit or delete.